N 16° 1' 59" and W -22° 55' 0"
Povoação Velha in Boa Vista Municipality is a place in Cape Verde about 86 mi (or 138 km) north-east of Praia, the country's capital city. Current time in Povoação Velha is now 10:23 PM (Monday). The local timezone is named Atlantic / Cape Verde with an UTC offset of minus one hour. We know of 8 airports near Povoação Velha. The closest airport in Cape Verde is Rabil Airport in a distance of 7 mi (or 12 km), North. Besides the airports, there are other travel options available (check left side). There is one Unesco world heritage site nearby. It's Cidade Velha, Historic Centre of Ribeira Grande in a distance of 85 mi (or 136 km), South-East. If you need a hotel, we compiled a list of available hotels close to the map centre further down the page. While being here, you might want to pay a visit to some of the following locations: Sal Rei, Espargos, Vila do Maio, Calheta and Pedra Badejo. To further explore this place, just scroll down and browse the available info. Let's start with some photos from the area. 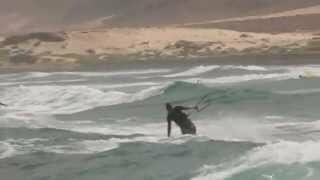 Boa Vista Kiteboarding and kitesurfing trip, Cape Verde Islands. 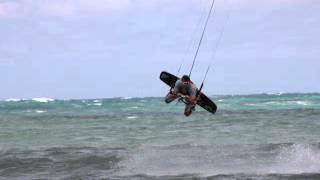 kiteboarding and kitesurfing in Boa Vista on the Cape Verde Islands in 2011.
trip to boa vista cap verde april 2012 with makina, claudio, paul and xavier. ti piace navigare in sicurezza ? oppure ami il freestyle ? benvenuto a PONTA ANTONIA : grande baya di sabbia con acqua piatta vento costante on-shore. 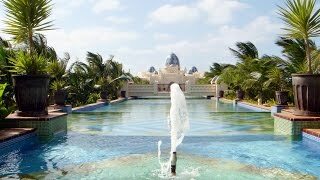 A short film showing the Royal Decameron Boa Vista (formerly Ventaclub) Hotel on Sal in the Cape Verde Islands - for more information please visit: http://www.capeverdeexperience.co.uk/Docs/Hotels/. 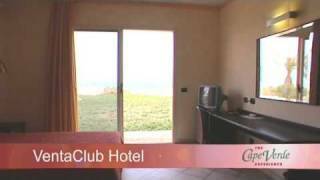 Foto-Report sobre este excelente hotel , situado na Ilha da Boavista - Cabo Verde , mais precisamente na Praia de Chaves. Located at 16.1033, -22.8035 (Lat. / Lng. ), about 9 miles away. Rabil is a town on the island of Boa Vista, Cape Verde and was the island's former capital. Rabil is the island's second largest town located 3 kilometres south of the island capital of Sal Rei. The population is approximately 1,000. Rabil is linked with a paved road linking Sal Rei and Norte, a poor road to the west and a few dirt roads linking to various parts of the island. It is home to the nearby airport. Located at 16.1333, -22.8833 (Lat. / Lng. ), about 7 miles away. Aristides Pereira Airport (Portuguese Aeroporto Internacional Aristides Pereira) is an airport in Cape Verde located on the island of Boa Vista, about 5 km southeast of the island capital Sal Rei. The airport initially started operating in the late-20th century and was paved only in 2007. Aristides Pereira Airport has started international operations in July 2007, with a new runway (2,100m), making it the newest international airport on the Cape Verde Islands. Located at 16.1375, -22.8894 (Lat. / Lng. ), about 7 miles away. Ilhéu de Sal Rei is an islet located 1 km west of Sal Rei and nearly 1 km southwest of its nearest point of Boa Vista Island in Cape Verde. 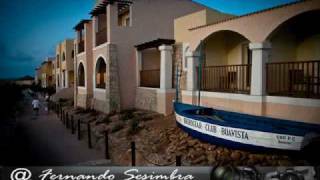 They are administratively a part of the municipality of Boa Vista. The islet is of volcanic origin. Located at 16.173, -22.933 (Lat. / Lng. ), about 10 miles away. 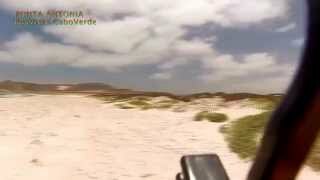 Bofareira is a village in the northern part of the island of Boa Vista in the Cape Verde archipelago. The village is around 20 km east-northeast of the island capital of Sal Rei and about 15 km northwest of Norte and is linked with the road with to João Galego and the road linking Sal Rei and Norte, the steep mountains makes it difficult to access the Alto Mira and boats rarely go there. The village has a dry desert climate and receives little or no precipitation. Located at 16.1833, -22.8333 (Lat. / Lng. ), about 12 miles away. Praia de Santa Mónica is a point beach covering the southwestern coastline of the island of Boa Vista in Cape Verde. Its total length is approximately 18 km and it extends from the island's westernmost point to the island's southernmost point. The beach are accessed with remote roads and it is not usable due to the desert area and underpopulation. The area around are flat and bushy, the mountains dominate the area to the north. Located at 15.9778, -22.8319 (Lat. / Lng. ), about 7 miles away. 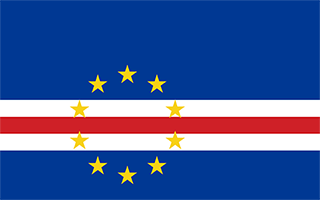 Curral Velho is a settlement in the southern part of the island of Boa Vista, Cape Verde. The village is around 40 km southeast of the island capital of Sal Rei and about 15 km south of Norte and is linked with remote roads with linking to Povoação Velha to the west, Rabil and the island capital to the north and Norte to the northeasta. Located at 15.9833, -22.8 (Lat. / Lng. ), about 8 miles away. 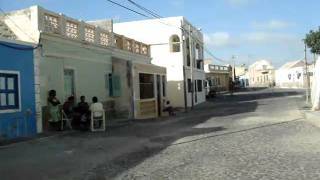 João Galego is a village in the east-northeastern part of the island of Boa Vista. The village is around 30 km southeast of the island capital of Sal Rei and about 5 km northwest of Norte and it is linked with the island's major road with Sal Rei and Norte. Located at 16.15, -22.75 (Lat. / Lng. ), about 14 miles away. For the town in the Azores, see Povoação Povoação Velha is a village in the southwestern part of the island of Boa Vista and is on the foot of Rocha Estância. The village is around 25 km south of the island capital of Sal Rei and around 16 km south of Rabil and it is linked with a remote road linking with Rabil the new highway ("South Boa Vista Road") and the island capital. Located at 16.0333, -22.9167 (Lat. / Lng. ), about 0 miles away. Located at 16.1833, -22.9167 (Lat. / Lng. ), about 10 miles away. These are some bigger and more relevant cities in the wider vivinity of Povoação Velha.